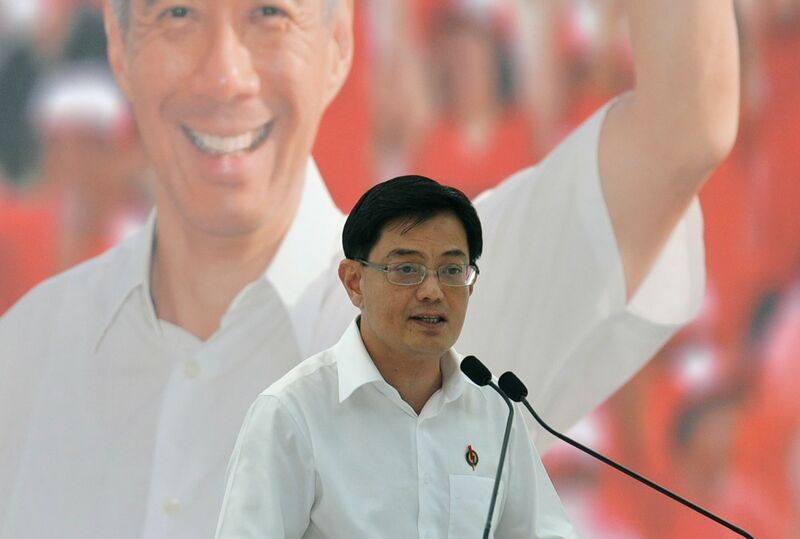 All four other MPs for Tampines GRC will step up to take care of residents in Finance Minister Heng Swee Keat's ward while he recovers from a stroke, Environment and Water Resources Minister Masagos Zulkifli said yesterday. Former Tampines GRC MP Sin Boon Ann will also be helping out, he added. "We all pray for his recovery," Mr Masagos told residents and reporters at a pre-school education fair in Tampines. "In the meantime in Tampines, my colleagues - Yam Keng, Li Hui and Desmond - and I will be serving the whole of Tampines, particularly also to cover for Mr Heng while he is recovering." The other MPs are Parliamentary Secretary for Culture, Community and Youth Baey Yam Keng, Mr Desmond Choo and Ms Cheng Li Hui. Meanwhile, Mr Sin, who was a Tampines GRC MP from 1997 to 2011, will be made second adviser to Tampines Central grassroots organisations, Mr Masagos said. Mr Sin will also be named as deputy chairman of the People's Action Party's Tampines Central Branch which Mr Heng chairs, PAP headquarters executive director Alex Yam said in a Facebook post yesterday. Mr Masagos said Mr Sin agreed to come on board to assist the grassroots groups and some 48,000 residents in Mr Heng's ward, as well as oversee Mr Heng's weekly Meet-the-People Sessions (MPS). Mary and I visited Minister Heng Swee Keat and his wife at Tan Tock Seng Hospital this evening. We saw Swee Keat and spoke to his wife and children. We are relieved to know that Swee Keat's condition is stable, and he is being well cared for by his family members and the medical staff at the intensive care unit. We will continue to keep Swee Keat and his family in our thoughts and prayers, and wish Swee Keat a speedy and full recovery. PRESIDENT TONY TAN KENG YAM, writing on Facebook yesterday about his visit to see Finance Minister Heng Swee Keat (above) at the hospital. "Mr Heng's branch will continue to operate, and Mr Sin will be there to help oversee the running of the MPS," he added. The latest update on Mr Heng's condition came from President Tony Tan Keng Yam yesterday. Dr Tan said he was relieved to find that Mr Heng's condition is stable and that he spoke to Mr Heng's wife and two children when he and his wife, Mrs Mary Tan, visited in the evening. "We will continue to keep Swee Keat and his family in our thoughts and prayers, and wish Swee Keat a speedy and full recovery," Dr Tan wrote in a Facebook post. At the Tampines event, Mr Sin told reporters that he was approached by Mr Masagos on Friday. The 58-year-old deputy managing director at law firm Drew and Napier said he has been busy with his practice since he retired from politics, but stepped forward without hesitation when approached to help. "I see this as a duty, and this is something which I am happy to do so that it will put Mr Heng at ease that the needs of the residents are well looked after," he said. Mr Sin stressed that as second adviser, he will "support the ongoing work of Mr Heng in Tampines Central". "What's important is to continue with his plans that he's set for the grassroots here and for the community as a whole," Mr Sin said. Mr Masagos, who will anchor the team while Mr Heng recovers, also said the team will ensure that Our Tampines Hub will be launched on schedule by the end of this year. The 5.3ha project will be the first integrated community and social facility with a hawker centre, a one-stop centre for government services, a community kitchen for seniors, and sports and retail facilities. "We will make sure it will run on time and give the facilities and services we've promised residents," he said. Yesterday, residents said they remained hopeful that Mr Heng will recover fully from his stroke. Pre-school teacher Alice Yap, 68, remembered Mr Heng for often finding time to attend school functions and meet the teachers. "He's very friendly. He used to always come to our school concerts and events, and would meet us and shake hands with us," she said. "I've been praying for him, and I hope he recovers swiftly."